​Growing up, Sharna always felt connected to the universe in a way that she couldn’t describe. Her spiritual journey started young. She was a bubbly kid who loved playing outside, doing handstands and cartwheels and any kind of sport. As she grew older her career lead her into the corporate world, leaving little time for her spiritual growth and physical activity. Mostly sitting at a desk or driving around to showrooms, she noticed injuries and illness creeping in. She knew her Mind Body & Soul were no longer aligned. She started her quest for a healthy life. Leaving the corporate world behind, she found weightlifting to be a new passion. She eventually got into Professional Bodybuilding. Sharna found that she needed some yin to her yang and came across yin yoga in 2015. People had been telling her for years to do yoga, but she thought it wouldn’t be enough of a challenge. Ha! Wasn’t she wrong? 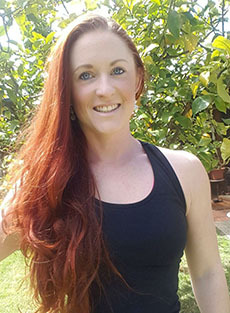 Sharna put her bodybuilding to the side to complete her Yoga Teacher Training, feeling mixed emotions at first, she now knows, she whole heartedly, made the correct decision. Sharna is continuing her thirst for knowledge, undergoing workshops & courses to further expand her experience, to be able to bring the information into her classes in an intuitive and educational way.